Stuck with something you now regret? 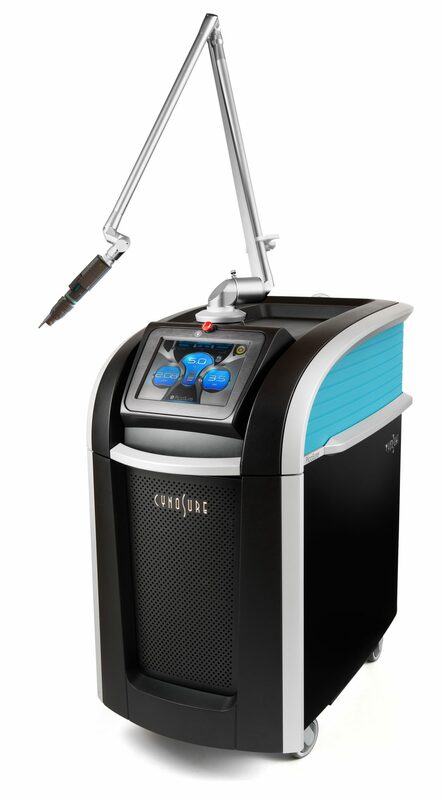 Our tattoo removal clinic uses the latest PicoSure technology – the fastest most effective laser system currently on the market. Is that tattoo more cringe-worthy than creative expression? 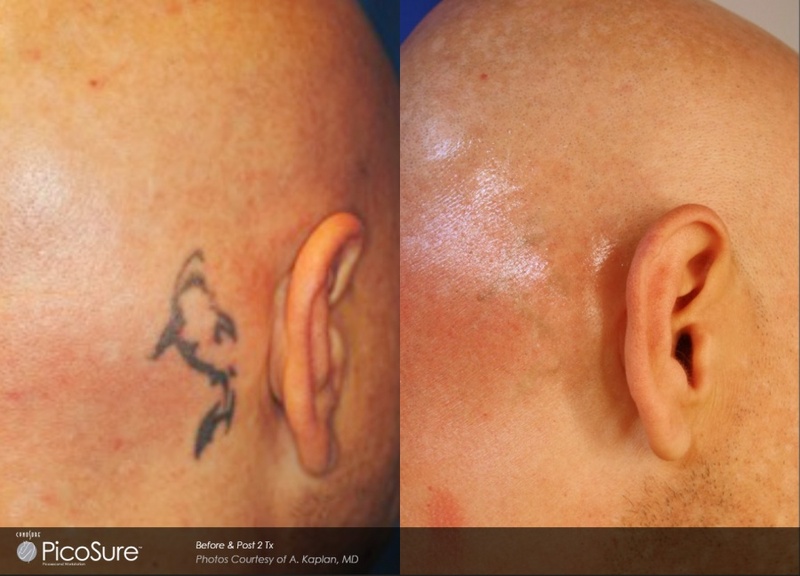 The good news is that tattoo can be easily lightened or removed completely. Break up with unwanted ink for good. 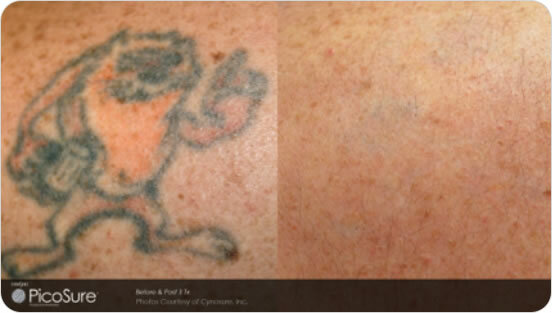 If you are tired of an old tattoo or need it lightened prior to a cover-up, our cosmetics professionals will deliver. 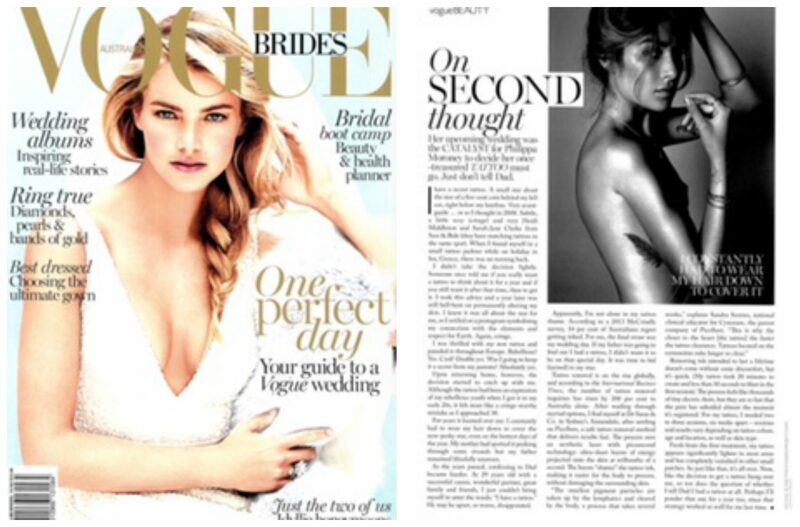 Picosecond laser technology removes ink from the skin by distributing ultra fast picosecond pulses of laser energy. That’s one trillionth of a second. Picosecond laser technology uses a photomechanical effect called PressureWave which targets the ink on the skin whilst avoiding inkless tissue. This PressureWave effect reduces the ink into miniscule dust particles which the body simply eliminates via the lymphatic system. The result is fewer treatments, clean, smooth skin, leaving the surrounding skin untouched. 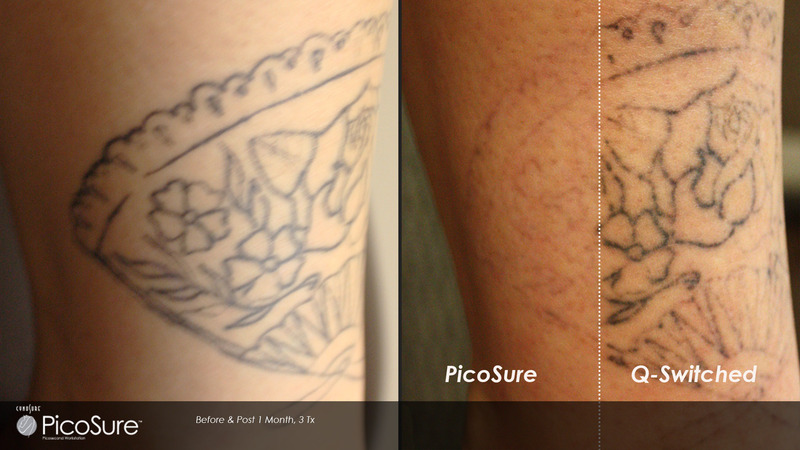 PicoSure technology gives 10 x faster results than older methods of laser removal, as well as removing more colours. Blues, greens and even traditionally stubborn yellows and reds don’t stand a chance. Pico targets the ink and doesn’t damage surrounding tissue. In order to make removal as painless as possible, we recommend that you ice the area pre and post treatment and apply a Cooling Gel like Flamijel or aloe vera to the area after treatment. You can also request a local anaesthetic injection. Tattoos aren’t like diamonds. They don’t have to be forever. 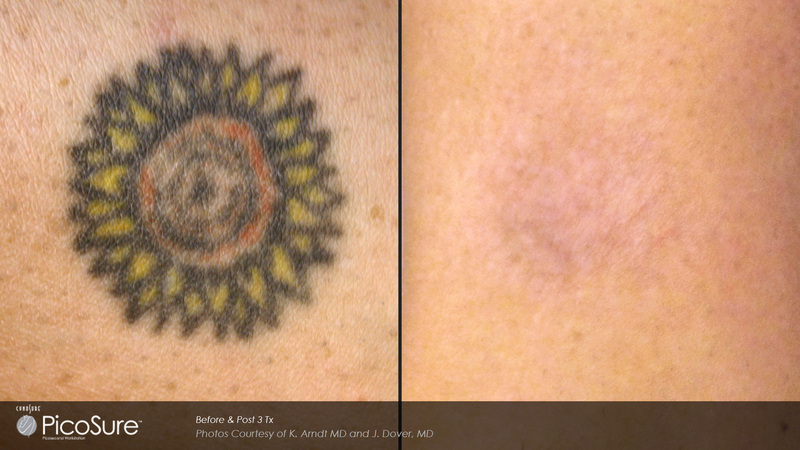 Remove your unwanted tattoo and reveal your natural beauty. 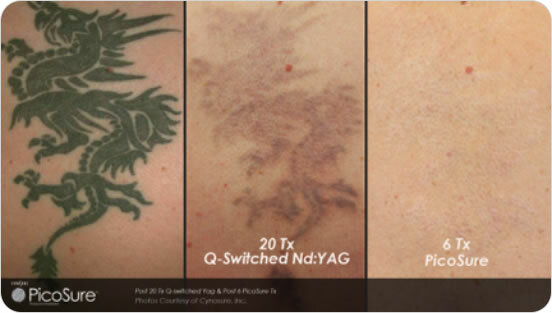 We offer a free consultation to assess your tattoo and provide you with tattoo removal costs and a plan. Alternatively, you can email your enquiry here. Please include an image of your tattoo and we can you a price guide. Our Bella Vista clinic is conveniently located for those clients looking for tattoo removal specialists in Baulkham Hills, Seven Hills, Northmead, Castle Hill, Blacktown and any other suburbs in the Norwest region of Sydney and beyond.